Spring 15 Maps Feature should populate lat and lon on the address fields. Maps should populate the latitude and longitude fields any address fields they are related to. The option to update these fields could be a check box in the new Maps and Location area. Summer'16 GA is looking good (#safeharbor). Beta customers reporting good results - take a look at this post. Baird, can you give me some more detail on the behavior you're seeing? i.e. are you changing only the zipcode and not seeing the geocodes update? 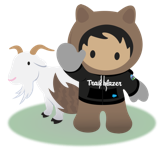 We perform geocode matching after all other Salesforce processes have completed so it is likely that the behavior you are seeing is part of the geo match logic. For instance, if we are able to establish a match at the address level based on a valid street address, city, and state, we will ignore the zipcode. In that case, you could change the zipcode to something else and you would not see the geocodes change. However, if you then delete the city, you would see the geocodes change to the zipcode level. You will need to refresh the page to see the updates. If you can provide more information on what steps you are taking, I can look into it further. We've used this to build a service which calls an external database and populates a custom field on accounts for watershed and hydrological unit code, We work with river and watershed groups, and they've long been trying to figure out which of their members and supporters are in the basin of which creek or other. Some actually spend the time to populate the fields manually, which takes days. So this functionality is a huge add for us, and a dream come true for our 40+ clients. But it seems that the service isn't yet solid ... in cs21 we can change a billing address and find that sometimes the change triggers an update to the geocode, and sometimes not. In particular, it seems not to work when we're showing our clients! So I know I'm not hallucinating. Ali, could you explain at what point in the process of saving a record the geocode update occurs? Does it ping an external database? For example, if I enter a zipcode with a leading blank, Salesforce automatically removes that blank - but is that before or after it's sent for the geocode? We'd definitely need that. We currently use API calls to google maps to retrieve location data, but in the end it would be 1) more comfortable if it were standard functionality and 2) more efficient as some service must already be invoked with google just to display the address on a map beneath the address field. Should we contact our AEs, or is there a list of clusters or datacenters that have the geo service deployed? Yes, we had to pull this feature last minute from GA due to the fact that not all our customers would be able to access it. We are working to make this feature GA for Summer. More to come later on timeline. For now, if you are interested, we do have the service available as a beta service. We would need to ensure your org is located in a datacenter that has the geo service deployed. Looks like this was pulled from Spring '16 a week or two ago and will remain in closed Beta for now. Geocoding service is scheduled to be released with Spring '16 for all PE and above editions. You will need to activate the geocoding service. In addition to the Long/Lat, you should be bale to see the new Geo Accuracy field. I see in my dev instance that the Account.Billing Address now has a component BillingLatitude and BillingLongitude, unpopulated at present. Will the Winter16 automatically populate these components? And will that be available in all instances, or just pilots? Got geocodes? In the Salesforce Summer '15 release, we are piloting a new geocoding capability where we add geocode information to your standard addresses in Salesforce. Geocode information, which includes latitude and longitude for addresses, can be used to assign territories, segment markets, target specific areas, and analyze demographics. The pilot will focus on the first step - populating the latitude, longitude, and accuracy fields for standard addresses in accounts, contacts, and/or leads. on Custom Addresses - once added, we would support it for geocoding. Geocoding is being on top of a new data enrichment platform we're working that will have flexible field mapping capability. Timing for the feature is Spring/Summer'16. on Appending ZIP - once the mapping feature is available, You can choose to append/enrich your addresses. While we're *not* targeting address clean up as a use case, given that the Geocoding service uses an underlying reference data set + matching to return best possible candidates for geocodes, if the match confidence and accuracy codes are high, you can choose to take the returned complete address to update your data. I know I'm swimming out to the middle of Safe Harbor, but does "Initial functionality will focus on Account, Contact, and Lead object." perhaps mean that custom Address fields are being considered? Wonderful to hear the news, this will add so much power that you used to have to go to the app excahnge for.